On the evening of October 3rd, if you are within driving distance of the sister cities of Detroit, Michigan and Windsor, Ontario, you have a great opportunity to hear NEXUS perform with the Windsor Symphony Orchestra. 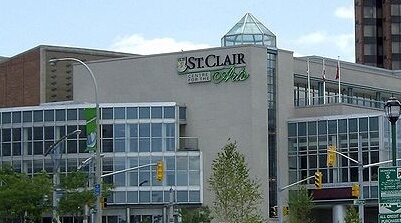 The concert takes place in the Chrysler Theatre, in the St Clair Centre for the Arts in Windsor. NEXUS will be kicking off the symphony’s Masterworks Series with a concert that presents everything from Balinese gamelan to Austria’s Franz Schubert and all the bells and whistles in between – literally! Bill Cahn’s exciting Kebjar-Bali, which is great fun to watch and powerful to hear, features a multitude of cymbals, gongs, and other instruments, and draws on the Balinese musical tradition. The Birds, also by Bill Cahn, is full of surprises as every possible kind of bird call, whistle, clacker, clicker, squeaker, horn, and noisemaker is employed to give the impression of a noisy marsh at the height of migration. The Windsor Symphony is calling their 2009/2010 season “Connections” and NEXUS is honoured to be launching it. The Orchestra will be exploring their cultural connections within the community and throughout the world through their sister cities. In addition to the initial NEXUS concert, the Masterworks Series will be paying tribute to France, Poland, and Windsor’s sister city Changchun in China. The Symphony’s Pops series will be touring the USA, Mexico, England and Canada while their Intimate Classics series honours their sister cities of Udine, Italy, and Mannheim, Germany. 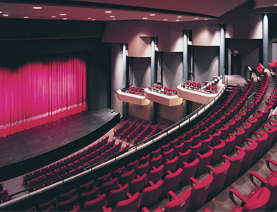 The Orchestra also presents a Classics in the Country series outside of Windsor in Leamington‘s United Mennonite Church, and a Peanut Butter ‘n’ Jam series for toddlers in various locations around the city. Happily for NEXUS and other contemporary composers and performers, Maestro Russell is one of Canada’s strongest advocates for new music, and he has conducted over 40 world premieres of commissioned compositions. But he is equally at home with Pops fare: for example, he “stood in” for the late Erich Kunzel both in Cincinnati and in Vienna, with great success. 2008 also marked Mr. Russell’s twelfth season with Carnegie Hall, where he conducts the “LinkUP!” educational (and historic) concert series, made famous by Leonard Bernstein. The WSO’s Composer-in-Residence is Brent Lee, who is also a professor at the University of Windsor School of Music where NEXUS will be in residence for the weekdays on either side of their Symphony performance. Do come to Windsor for what promises to be a great concert!